LOS ANGELES COUNTY OFFICE OF EDUCATION and CALIFORNIA DEPARTMENT OF MENTAL HEALTH. The due process hearing in this matter convened on January 11, 2011, at the Office of Administrative Hearings in Los Angeles, California, and on January 13, 2011, by teleconference with the parties, before Administrative Law Judge (ALJ) Darrell L. Lepkowsky from the Office of Administrative Hearings (OAH), State of California. Student was represented by Benjamin Conway, Esq., of Public Counsel Law Center, and by Abraham Apraku, Esq., of Mental Health Advocacy Services. Student did not testify or attend the hearing. Student’s Educational Rights Holder testified during Student’s casein-chief, but did not attend the remainder of the hearing. Courtney M. Brady, Deputy General Counsel, represented the Los Angeles County Office of Education (LACOE). She was accompanied during the morning of the first day of hearing by Dr. Gary Levin, LACOE’s Project Director of Compliance and Support Services, and by Michael Baird, the Assistant Principal for LACOE at its school at Los Angeles Central Juvenile Hall, during the afternoon of the first day of hearing. Jenny Wong, Staff Counsel, represented the California Department of Mental Health (CDMH). Student called his Educational Rights Holder to testify on his behalf and then rested his case. LACOE called Dr. Levin, who began his testimony in person on January 11, 2011, and completed it by telephone on January 13, 2011, and Mr. Baird. CDMH called Charles Anders as a witness, and presented the declaration of Willie Deon, its Acting Chief of Community Programs for its County Programs Technical Assistance section, in lieu of testimony due to Mr. Deon’s absence from the country on military duty. Student filed his request for a due process hearing on November 8, 2010. On November 19, 2010, Student and the Los Angeles Unified School District, a previous respondent in this matter, filed a stipulation waiving their resolution session in which they also agreed to continue the statutory timelines for the case. No other named respondent was a signatory to this stipulation. On December 28, 2010, OAH granted the parties’ request for a brief continuance for the date of the due process hearing. The hearing began as scheduled on January 11, 2011. At the close of the hearing on January 13, the ALJ agreed to continue the matter so the parties could file written closing arguments. Student requested that only one week be allocated for the filing of the closing arguments; LACOE and CDMH requested two weeks. Based upon the issues presented at this hearing and the fact that LACOE and CDMH had other hearing matters scheduled the week following the instant hearing, the ALJ granted their motion for a two-week continuance for the filing of the written closing arguments. All parties timely filed their briefs on January 27, 2011, at which time the matter was submitted and the ALJ closed the record. Since October 8, 2010, have any of the remaining respondents in this case denied Student a free appropriate public education (FAPE) by failing to provide him with appropriate mental health services through his individualized education program (IEP)? 1 During the prehearing conference and after discussion with the parties, the ALJ reworded the issues presented by Student in his complaint. OAH had dismissed issue two of Student’s complaint, which asserted violations of state and federal civil rights, the Americans with Disabilities Act, and Section 504 of the Rehabilitation Act, in an order issued November 30, 2010, as being beyond the jurisdiction of OAH. 2 Student’s complaint originally asked that OAH provide a remedy for similarly situated students and that OAH order structural and/or systemic changes in the provision of mental health care to special education students by the respondents to this case. At the prehearing conference, the ALJ dismissed this request for relief, to the extent not already dismissed in previous OAH orders in this case, as being beyond the limited jurisdiction of OAH in special education due process hearings. Bill No. 3632 (hereafter AB 3632), which enacted Chapter 1747 of the Statutes of 1984, operative July 1, 1986, and which established interagency responsibilities for providing and funding mental health services to students with disabilities in California. This enactment is codified as Chapter 26.5 of Division 7 of Title 1 of the Government Code. In addition to LACOE and CDMH, Student originally named four other entities as respondents to this action. On December 7, 2010, OAH granted the California Department of Education’s motion to be dismissed as a party. 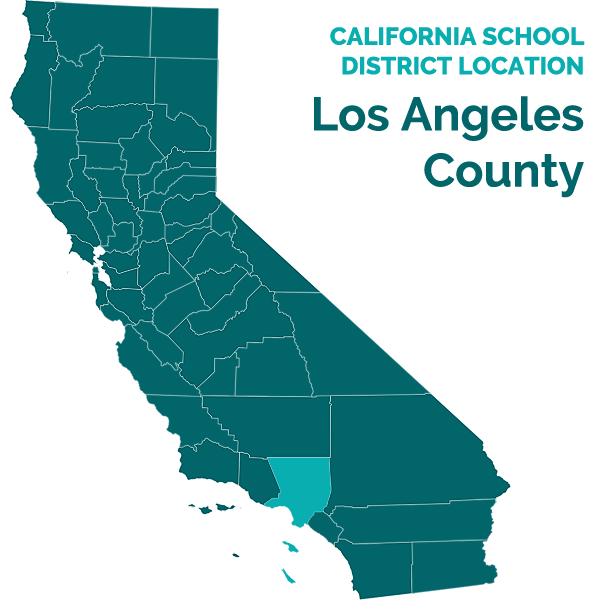 In a separate order issued on December 7, 2010, OAH granted the motion of the Los Angeles Unified School District to be dismissed as a party. OAH granted the motion of the California Health and Human Services Agency to be dismissed as a party on December 27, 2010. OAH denied LACOE’s motion to dismiss on November 30, 2010, and denied CDMH’s motion to dismiss on December 6, 2010. The Los Angeles County Department of Mental Health (LACDMH) did not file a notice of representation or otherwise appear in this case until the telephonic prehearing conference. At the beginning of the prehearing conference, counsel for LACDMH informed the ALJ that it was in the process of reaching a stipulation with Student regarding this and other cases in which it was a named respondent, and therefore would not be making an appearance in this matter. On January 10, 2010, Student and LACDMH filed a stipulation regarding exhaustion of administrative remedies which applies to the instant case as well as to pending OAH cases involving other students. The stipulation was based upon a class action filed on behalf of Student and other children who had allegedly been affected by the October 8, 2010 line item veto of then Governor Arnold Schwarzenegger, which deleted appropriations for funding of mental health services for children receiving special education. Governor Schwarzenegger’s veto and accompanying declaration that he was suspending the state mandate for provision of these services through California’s mental health agencies is what has given rise to this and other cases. The implications of the Governor’s actions will be discussed below. The stipulation states that Student and LACDMH have agreed to stipulate to exhaustion (of administrative remedies) so that the parties could proceed directly with their federal court litigation. On the first day of hearing in this matter, LACDMH did not appear. Student orally reiterated that he was dismissing LACDMH from this case. 1. LACDMH is dismissed without prejudice as a party in this matter. 2. If a court of competent jurisdiction determines that Student has not exhausted his administrative remedies against LACDMH pursuant to the Individuals with Disabilities Education Act (IDEA) (20 U.S.C. § 1400 et. seq.) and California education law, Student will need to file a new complaint against LACDMH, and OAH’s timelines for an issuance of decision as to LACDMH shall commence at that time. 3. If Student files a new complaint against LACDMH, OAH will address at that time any claims that the applicable statute of limitations for claims under the IDEA and California education law have been tolled. On the first day of hearing, the parties presented a written recitation of stipulated facts, which the ALJ marked and admitted into evidence as Joint Exhibit One. Student and LACOE stipulated to all facts contained in the stipulation. CDMH only joined in the stipulation as to paragraphs 20, 21, 23, and 26-28. CDMH declined to stipulate to paragraphs one through 14 as redundant of information already stated in orders issued by OAH in this matter. CDMH declined to stipulate to the remaining paragraphs since it had no personal knowledge of the facts contained in them. However, CDMH did not present any evidence at hearing through testimony or exhibits that contradicted the facts presented in the paragraphs to which it declined to stipulate. Additionally, all factual contentions to which CDMH declined to stipulate were independently substantiated through witness testimony or exhibits admitted into evidence. Therefore, the ALJ has relied upon and incorporated all the stipulated facts where appropriate in this Decision. Student contends that he was denied a free appropriate public education after Governor Schwarzenegger’s veto of funding for mental health services and alleged suspension of the mandate which provides a statutory scheme for provision of mental health services to children, like Student, who have been found eligible for special education and who require related mental health services. Student asserts that LACDMH delayed finalizing its assessment of him, which was to determine if he required placement in an RTC, based on the Governor’s actions, and did not agree to participate in his IEP process until after he and other students filed a class action lawsuit in federal court. Student contends that LACOE and CDMH each had an independent legal duty to intercede and assess him and provide him with the RTC placement that was ultimately recommended by LACDMH, during the time LACDMH refused to participate in planning and implementing his IEP. Student contends that he suffered a four to six week delay in receipt of RTC services as a result of the failure of LACOE and CDMH to immediately address his needs, before LACDMH agreed to again participate in his IEP process. Student asserts that the delay in finding him eligible for placement at and in transferring him to the RTC with the array of mental health services provided there caused him a denial of FAPE. As a result of this denial Student contends he is entitled to 50 hours of compensatory mental health services, to be utilized after he returns to the community. LACOE responds that it is not responsible under state statutes for assessing Student’s mental health needs. It contends that the responsibility lies with LACDMH under the statutory scheme to assess students’ mental health needs, make recommendations for services, including placement in an RTC, and for paying for the non-educational portion of an RTC placement. LACOE further contends that even if it were responsible for assessing Student and/or providing him with mental health services, Student has not met his burden of proof to show that LACOE failed to provide him with a FAPE during any of the applicable time periods, and therefore there was no violation of his rights. LACOE also contends that Student has failed to demonstrate that he is entitled to any amount of compensatory services because he was not denied a FAPE while attending a LACOE operated school even if there was a brief delay in Student’s transfer to an RTC. CDMH first contends that Student was not denied a FAPE while residing at juvenile hall and awaiting a decision on placement at an RTC and that Student has failed to show that he has suffered any injury by the delay in transfer to the RTC. CDMH then contends that even if there was a denial of FAPE to Student, it is not a party responsible for providing him a FAPE under either federal or state law. It contends that local educational agencies (LEA’s) such as LACOE are ultimately responsible for providing students a FAPE under the IDEA and that CDMH is not an LEA. CDMH also contends that only county mental health agencies such as LACDMH are responsible under AB 3632 for the provision of mental health services, including assessments and placement decisions, and that the AB 3632 statutory scheme does not contemplate that CDMH will provide those services. CDMH contends that its only responsibilities under AB 3632 are to monitor county mental health departments to ensure compliance with AB 3632 and act as a conduit for funds appropriated through the budget process, and that it has performed its statutory duties at all times since October 8, 2010. Based upon the following Factual Findings and Legal Conclusions, this Decision determines that LACDMH and CDMH were jointly responsible under AB 3632 for assessing Student and providing him with any mental health services, including the non-educational portion of services at an RTC that Student required in order to receive a FAPE. This Decision also determines that LACOE, as the LEA responsible for providing Student with a FAPE, had the obligation under the IDEA to assure that Student was properly assessed and provided with any necessary mental health related services, including placement at an RTC, when CDMH and/or LACDMH failed to fulfill their duties under state law. However, this Decision also finds that Student has failed to meet his burden of proof that he was denied a FAPE between October 8, 2010, and January 4, 2011, when he was transferred to an RTC. Student has failed to prove that the mental health services provided to him by LACOE during this time frame were not reasonably calculated to enable him to make some progress towards his mental health goals or that the services were in any way deficient. Additionally, Student has failed to prove that the four to six week delay in completing his assessment process, holding an IEP meeting, and transferring him to an RTC resulted in a loss of educational benefit or deprived him of mental health services he required. Finally, Student has failed to prove that he is entitled to any compensatory mental health services. Therefore, this Decision finds that LACOE and CDMH are the prevailing parties with regard to the issue heard during this due process hearing. 1. Student is a young man who recently turned 18 years old.3 He is presently eligible for special education and related services under the category of emotional disturbance. Student has past diagnoses of psychotic disorder, not otherwise specified, bipolar disorder, major depression, impulse control disorder, not otherwise specified, adjustment disorder (unspecified), attention deficit hyperactivity disorder, and mood disorder, not otherwise specified. Student had received AB 3632 mental health services prior to September 2008. Neither his eligibility for special education nor his eligibility for mental health services is at issue in this case. 2. Student’s educational rights during the time periods applicable to this case were held by a court-appointed Educational Rights Holder. She has a master’s degree in social work from California State University at Los Angeles and has received training by the courts as a volunteer to uphold the educational rights and needs of at-risk children. Educational Rights Holder also has significant experience addressing the needs of at-risk children since she has run, for a number of years, a non-profit organization dedicated to assisting children on probation. She oversees the program, writes proposals and engages in other fund raising activities, and provides counseling, after school programs, and parent counseling. Educational Rights Holder also received an award as Woman of the Year in 2005, for her volunteer work. She was a forthright witness who answered questions directly and truthfully. As discussed below, she had no hesitancy in acknowledging information that was not necessarily supportive of Student’s contentions in this case. 3. Based upon circumstances not pertinent to this matter, Student was detained at Los Angeles County Juvenile Hall from approximately June, 2010, until his transfer to an RTC on January 4, 2011. He spent time at both the Central Juvenile Hall and Los Padrinos Juvenile Hall facilities. Under state educational statutes, county offices of education are responsible for providing educational services, including special education and related services, to children detained in county juvenile hall facilities. There is no dispute that LACOE was the LEA responsible for providing special education and related services to Student during the time he was detained at Los Angeles County Juvenile Hall. 3 All events pertinent to this case, including the due process hearing, took place prior to Student’s 18th birthday. 4. LACOE convened an addendum IEP meeting for Student on August 18, 2010. The meeting was an addendum to an IEP held for Student on June 9, 2010. The purpose of the meeting was for a LACOE school psychologist to re-submit an AB 3632 referral for Student to LACDMH for the purpose of assessing Student for placement at an RTC. A residential treatment center is a residential placement which provides room and board, an educational program, and mental health services for students whose IEP teams have determined cannot access their education and gain educational benefit in a less restrictive environment. 5. Student’s Educational Rights Holder participated in this IEP meeting by telephone. Also present at the meeting was a LACOE administrative designee, a LACOE special education teacher, a LACOE school psychologist, Student’s educational attorney, Student’s public defender, and a probation representative. 6. The emphasis of the discussion at this meeting was Student’s mental health needs. The team’s primary concern was Student’s need for services and the belief that a residential placement was the best option for him. While the referral to LACDMH was being processed, Student’s IEP team members agreed to continue the previous IEP developed for him subsequent to his placement at juvenile hall. The placement and services consisted of full-time placement in a special day class for 240 minutes a day, five times a week, 60 minutes per week of individual mental health counseling sessions, and 20 minutes per week of behavior management assistant services in Student’s classroom. The latter service was provided by a paraprofessional trained in behavior management who was available to go to Student’s classroom if he was experiencing behavioral issues and who would help re-direct Student as needed. Neither Student’s Educational Rights Holder nor his attorneys objected to this IEP or suggested that Student required any additional services. 7. LACOE faxed the proposed assessment plan to Student’s Educational Rights Holder. She signed and returned the plan to LACDMH on or about August 26, 2010. Under state law, LACDMH had 60 days from that date to complete its assessment of Student. Additionally, state law required that LACOE convene an IEP meeting to discuss the assessment within 60 days of the date Student’s Educational Rights Holder signed the assessment plan. 8. LACDMH assigned responsibility for assessing Student to Sylvia Gonzalez, a licensed clinical social worker on its staff. In conducting her assessment, Ms. Gonzalez reviewed Student’s IEP’s and reviewed prior assessments of him. She also had face-to-face interviews with Student and his Educational Rights Holder, and interviewed his public defender, his LACOE therapists, and a Department of Children and Family Services worker by telephone. These interviews occurred between October 7 and October 22, 2010. Although Ms. Gonzalez did not testify at the due process hearing her assessment report was admitted into evidence. 9. Student’s therapist at juvenile hall informed Ms. Gonzalez that although Student had previously experienced adjustment difficulties during prior juvenile hall detainments, staff had noticed a difference in his emotional state, demeanor, and attitude during his present stay there. Student appeared calmer, especially when limits were set or when things did not work out the way he expected. Student was now able to take time-outs without becoming combative, defiant, or uncooperative, where in the past he would become defiant, argumentative, and would aggressively bang on the desk. During his present detainment, when Student was upset he would isolate himself for a short period of time, talk to his peers, take a nap, or request to speak to a therapist. The LACOE therapist informed Ms. Gonzalez that the goals for Student’s treatment had focused on improving his adaptive social skills and increasing his coping skills. The therapist noted that Student was engaging well with him and was an active participant in the therapeutic process. He was responsive and cooperative in treatment, attended counseling sessions regularly, and sought support from his therapist when in a crisis. The therapist noted also that Student has fair insight at times, but his insight is short-lived. Student responded better when acknowledged, validated, and re-directed. The therapist also noted that Student was not then receiving any psychotropic medications and did not have any sleep impairments, although he had struggled with nightmares in the past. 10. Although Student’s IEP stated he would receive only 60 minutes a week of individual therapy, LACOE staff was actually providing him with individual therapy three to four times a week for sessions of at least 40 minutes. Student also received psychiatric evaluations and monitoring once a month, and was participating once a week in therapy groups for substance abuse, anger management, and social skills development. 11. Student’s school counselor informed Ms. Gonzalez that she had weekly, 50minute sessions with Student. The counselor informed that her sessions with Student focused on impulse control, improved decision making, and improved functioning in the classroom. The counselor noted that Student’s functioning had improved. He was no longer a behavior problem in school. He was responding well to the structured classroom setting, and was well-rested and alert in class. He stayed on task, worked independently, remained cooperative, completed assignments, was respectful of teachers and students, followed the rules, and was compliant. 12. Likewise, Student’s Children’s Service worker reported to Ms. Gonzalez that while Student had a history of running away from placements, and of setting a fire in a residential facility, Student had not been violent or aggressive since she had begun working with him in April 2010. 13. In his interview with Ms. Gonzalez, Student reported on his past issues. He discussed his emotional problems, most of which stemmed from his placement in foster care, constant change in placements, lack of contact with his family, and issues with the deaths of his two children. Student discussed the fact that he had been experiencing auditory hallucinations since age four and visual hallucinations since age nine. Student informed Ms. Gonzalez that voices have commanded him to be destructive and disruptive in all settings, including school, and that he followed those commands in the past. Student also informed that while he had had suicidal ideation in the past, he had no plans to hurt himself. 14. Student also told Ms. Gonzalez that while he had engaged in tantrums in the past, he now tended to hit a window and then remove himself from the situation making him angry. In spite of continuing issues with depression and fear, Student indicated that he was doing well in juvenile hall. He reported that he was following the rules and taking his responsibilities seriously by attending school and completing assignments. He stated that he sometimes was distracted by flashbacks or disruptive thoughts which would agitate him. At those times, Student continued to find it difficult to follow directions so he would ask to have materials or instruction repeated. Student told Ms. Gonzalez that he no longer engaged in oppositional or combative behavior, that he was respectful toward his teachers, probation staff, and peers. He told her his goal was to comply and conform to authority and rules in order to avoid adding more time to his stay at juvenile hall. 15. Student presented no testimonial or documentary evidence which contradicted Ms. Gonzalez’s findings that as of October 2010 he was receiving intensive mental health services from LACOE while at juvenile hall, that he was responding to therapy, that he did not present with any significant behavioral issues at that time, and that he was functioning well both behaviorally and academically. 16. At hearing, Dr. Levin and Assistant Principal Baird both stated that Student continued to function well at juvenile hall through January 4, 2011, when he was transferred to an RTC.4 Dr. Levin indicated that he received no reports concerning any behavioral issues regarding Student or any indication that Student was not functioning well at juvenile hall. 17. Mr. Baird, who has master’s degrees in special education and education supervision, supervises the special education programs at Los Angeles County Juvenile Hall. He has known Student since he was returned to juvenile hall in 2010. He testified that since Student’s current residence at juvenile hall there was only one incident in which Student required intervention. Student had wanted to participate in a particular class and became angry when informed that he would not be able to do so. Mr. Baird intervened and counseled Student for about a half hour discussing the reasons Student was not permitted to attend the class. Mr. Baird was able to re-direct Student’s anger; Student accepted the decision regarding the class, and was able to return to normal activities. Student attended classes, did all his classroom and homework assignments, attended group and individual therapy sessions, and, in general, functioned well during his entire stay at juvenile hall before being transferred to the RTC. 4 Dr. Levin earned a bachelor’s degree as a speech and language pathologist, a master’s degree in special education, and a Ph.D. in institutional management. He has worked for LACOE for over 30 years, first as a teacher, and later in administration as a compliance officer. 18. Student’s Educational Rights Holder acknowledged during her testimony that while she knew Student had continued to experience hallucinations, neither Student nor LACOE staff informed her of any behavioral incidents or mental health crises experienced by Student while he was at juvenile hall. To the contrary, all reports she received were that Student’s behavior had improved during his time there. 19. Student presented no testimony or documentary evidence to support his claim that the group and individual therapy sessions provided to him by LACOE until his transfer to the RTC on January 4, 2011, failed to meet his mental health needs, that he required additional services during that time, or that he was unable to benefit from his education because he was not residing in an RTC or receiving mental health services from the providers there. 20. Although Ms. Gonzalez noted the recent improvements in Student’s condition, she ultimately found that he met the eligibility requirements to receive AB 3632 mental health services, and recommended that he be placed in an RTC. Her recommendation was based upon Student’s past history of behaviors, his substance abuse, his continued mental health issues, and past history of short-lived stability. Ms. Gonzalez completed her assessment report of Student on October 27, 2010. She forwarded it to LACOE on or about October 29, 2010. 21. It is unclear from the evidence which staff member at LACOE made the decision to hold Student’s next IEP on October 18, 2010, when that decision was made, or how it was communicated to the various members of Student’s IEP team. However, there is no disagreement that Student, his Educational Rights Holder and legal representatives, LACOE staff, and LACDMH staff were informed that the IEP meeting was scheduled for that date. 22. On October 8, 2010, then Governor Schwarzenegger line-item vetoed item 8885-295-0001 of the California Budget Act, reducing funding by $132,941,000 for handicapped and disabled children, and seriously emotionally disturbed pupils for out of state mental health services pursuant to AB 3632. Governor Schwarzenegger also stated that he was suspending the mandate for these services along with vetoing the funding appropriation. 23. LACDMH informed LACOE shortly before Student’s October 18, 2010 IEP meeting that it would not attend the meeting and would no longer participate in the AB 3632 assessment process, including attending IEP meetings and making placements, based upon the Governor’s veto of funding and suspension of the mandate. 24. LACOE decided to proceed with the IEP meeting on October 18, 2010, in spite of LACDMH’s refusal to attend because Student was due for his annual IEP review. LACOE did not inform anyone at CDMH of the IEP meeting and did not invite CDMH to attend. LACOE has never communicated with CDMH concerning IEP meetings or IEP processes for any of its students. 25. Neither Ms. Gonzalez nor anyone else from LACDMH provided anyone from Student’s IEP team, including LACOE, with a copy of Ms. Gonzalez’s assessment report prior to or at the October 18 IEP meeting. Ms. Gonzalez did not complete the assessment until after the meeting was held. Neither she nor anyone else from LACDMH attended this IEP meeting. 26. Present at Student’s October 18 IEP meeting were Student, his Educational Rights Holder, Mr. Baird as LACOE’s administrative designee, a special education teacher from LACOE, a LACOE school psychologist, and two of Student’s attorneys. The team reviewed Student’s present levels of performance and discussed his behaviors as observed in his school setting. The team agreed that Student still required behavioral support in order to achieve academic success in school. To that end, the team developed goals to address Student’s behavior, provided him with counseling services at school, and included a behavior support plan in the IEP. 27. Student discussed with the team the fact that he is bipolar and suffers from mood swings. He read the results of a previous psychological assessment administered to him. Student also discussed the fact that he continued to have hallucinations, although he did not indicate to the IEP team that the hallucinations were impeding his ability to benefit from his education or presently affecting his behavior. None of Student’s teachers or therapists present at the meeting indicated that Student was experiencing any problems at school or at juvenile hall due to his mental health issues. 28. Mr. Baird then informed the other IEP team members that LACDMH had indicated that it would not be attending the meeting to discuss mental health recommendations until further notice and would not be accepting new referrals for AB 3632 services at that time. 29. Student’s IEP team developed eight annual goals for him to address his academic needs, his mental health and behavioral needs, and his social and functional needs. In the absence of an AB 3632 recommendation by LACDMH, LACOE recommended continuing Student with the program it had been providing to him. 30. LACOE did not suggest informing CDMH of any need to assess Student and did not offer to initiate an AB 3632 assessment of its own. In the approximately 25 years since the enactment of AB 3632, LACOE has never previously been faced with a situation where the county department of mental health has refused to participate in the assessment and IEP process where it has been sent a valid referral for assessment. Dr. Levin and Mr. Baird testified that LACOE has no system in place for it to intercede in or initiate the AB 3632 assessment process if LACDMH fails to do so. Dr. Levin acknowledged that if LACDMH does not participate in the assessment or IEP process, LACOE would not then conduct its own assessment and independently place a student at an RTC. He stated that the only involvement LACOE has is convening the IEP meetings with LACDMH and funding transportation to the RTC and the educationally related costs of the placement. Dr. Levin also testified that he believed it would have been pointless for LACOE to try to initiate the assessment process after the October 18 IEP meeting because it would have just pushed back a resolution as to Student’s needs another 60 days. LACOE made no attempt to initiate an assessment for Student or otherwise determine if he required placement in an RTC. It did not attempt to do so even after receiving the assessment report prepared by Ms. Gonzalez on or about October 29, 2010. 31. LACOE continued providing Student with a special day class placement, with group and individual therapy, and with behavioral management assistance pursuant to the October 18 IEP. 32. On October 18, November 5, and December 24, 2010, the California Department of Education issued directives to special education local plan areas, county offices of education, and local educational agencies, advising them of their legal obligation to provide special education and related services to special education students, including necessary mental health services. The directives also stated that these entities can seek reimbursement under interagency agreements from the county mental health agency that failed to provide or pay for mental health services found necessary to provide a FAPE to a given student. 33. CDMH has never participated in any student’s IEP process. It has never provided any student with AB 3632 services. It has never been invited by any IEP team to any student’s IEP meeting, and has never been involved in developing any IEP’s or recommending services. 34. CDMH opines that its only duties with regard to AB 3632 are defined in the Interagency Agreement between it and the California Department of Education. That agreement only requires CDMH to monitor county mental health departments to ensure compliance with AB 3632 by making recommendations to CDE in response to compliance complaints referred to CDMH by CDE which possess mental health components. CDMH is also responsible for compiling Client and Service Information data reports which collect data for all mental health services within a county. In the Interagency Agreement, CDMH agrees to report to CDE that local interagency agreements exist between local educational agencies and community mental health departments. It also agrees to monitor language in the interagency agreements. 35. Charles Anders, Chief of the Local Program Financial Support for CDMH, testified that CDMH is a mere “pass through” for AB 3632 funds. After receipt of appropriated funds in a budget act, CDMH allocates the funds according to a pre-determined formula, which was developed some years ago and approved by the office of the California State Controller. CDMH has no discretion in allocating the funds, cannot increase or decrease the appropriation made by the legislature, and does not and is not required to audit the expenditures. Nor does CDMH administer federal funds for mental health programs and services pursuant to the IDEA. 36. Based upon the Governor’s veto of funding for AB 3632 services, no money was appropriated to CDMH for those services. CDMH therefore has no funds to allocate to the county mental health agencies for this budget year, and no funds with which to provide any such services. 37. On October 27, 2010, Student was one of four named plaintiffs who filed a federal law action in the United States District Court for the Central District of California in A.C., et al., v. Schwarzenegger, et al., Case No. CV 10-7956. The action alleges that the Governor’s veto of AB 3632 funding caused California to violate the IDEA, the Americans with Disabilities Act, and Section 504 of the Rehabilitation Act. 38. On November 1, 2010, LACDMH, LAUSD, and LACOE entered into a stipulated temporary restraining order (TRO) with the student plaintiffs in the federal action. CDMH was not a party to the TRO. The TRO stated that the California Department of Education and the State Superintendent of Public Instruction had agreed to release to county offices of education the 76 million dollars in IDEA funding currently in the state budget. A portion of the funds were to be passed through LACOE to LACDMH for educationally related mental health services in Los Angeles County. 40. LACDMH thereafter informed LACOE that it would resume participation in Student’s assessment and IEP process. LACOE then noticed an IEP meeting for November 19, 2010, the earliest date on which all parties could attend. 41. Sixteen people attended Student’s November 19 IEP meeting. They included Student, his Educational Rights Holder, two of his attorneys, a special education teacher, a general education teacher, a LACOE administrative designee, a probation representative, a LACOE school psychologist, Dr. Levin, LACOE’s attorney, a LACDMH assessment unit representative, a LACDMH residential placement representative, a LACDMH therapist, LACDMH’s Director of AB 3632 programs (who participated by telephone), and Student’s Children’s Services worker. 5 The ALJ is not aware of the present status of the stipulated TRO. 42. The probation representative reported that Student’s behavior had improved and that he had had no major incidents in the preceding 60 days. The IEP team reviewed Ms. Gonzalez’s assessment report. Based upon the report and its recommendations, the LACDMH representatives recommended that Student be placed in a 24 hour-a-day wellstructured therapeutic residential program. They stated that they would explore both in-state and out-of-state placements for Student. In accord with state law, the LACOE representatives adopted LACDMH’s recommendation for placement in an RTC, and agreed to initiate the placement as well as provide transportation to whichever facility was selected. In the interim, LACOE indicated that it would continue to provide Student educational and mental health services pursuant to his IEP. 43. Pursuant to AB 3632, LACDMH then explored possible placements for Student. Since LACDMH was dismissed from this case and did not participate in the due process hearing, it is unknown what it did to determine an appropriate RTC placement for Student. However, it did conduct a search for a placement and subsequently contacted LACOE so that LACOE could convene another IEP meeting for Student to finalize the placement. LACOE set the meeting for December 17, 2010. Student’s Educational Rights Holder participated by telephone. LACDMH proposed placing Student at Cathedral Home, an RTC located in Laramie, Wyoming. There is no dispute that Cathedral Home is an appropriate RTC placement for Student. Student and his Educational Rights Holder signed an IEP addendum on December 22, 2010, agreeing to the placement at Cathedral Home. The IEP team agreed that LACOE would continue to provide Student with the educational placement and services contained in his current IEP until he was transferred to the RTC. 44. Dr. Levin acknowledged that Student’s placement at Cathedral Home was delayed from four to six weeks by LACDMH’s delay in providing its assessment report and initial refusal to participate in the IEP process to recommend and then seek out an RTC placement for Student. However, Dr. Levin stated that once LACDMH made its recommendation for RTC placement on November 19, 2010, the process went as quickly as possible given that Student was in custody at juvenile hall and could not be transported to an RTC even after one was selected until the court provided the appropriate paperwork to release him. The court prepared the necessary paperwork on January 3, 2011, and immediately forwarded it to LACOE. LACOE arranged for Student to be transported to Cathedral Home on January 4, 2011, the day after it received all necessary paperwork from the court. 45. Student provided no evidence as to what his placement at Cathedral Home included. There is no evidence in the record describing any aspect of the Cathedral Home program in general and no evidence concerning the education it is providing to Student or the type and extent of mental health services he receives. Student did not provide any evidence as to how the placement at Cathedral Home differed from his placement at juvenile hall, or if and how the educational program and mental health services provided to him by LACOE from October 8, 2010, to January 4, 2011, were deficient compared to what he now receives at Cathedral Home. Student has therefore failed to meet his burden of proof that the delay in transferring him to the RTC with his resultant continued placement in a LACOE special day class, with individual mental health counseling services, group therapy sessions, and behavior management support, failed to provide him a FAPE, even given the agreement by all parties that he required placement at an RTC. 46. Because Student has failed to prove that he was denied a FAPE, he is not entitled to any compensatory mental health services due to the delay in first recommending placement at and then transferring him to an RTC. 1. As the petitioning party, Student has the burden of proof on all issues, including the need for and amount of compensatory services. (Schaffer v. Weast (2005) 546 U.S. 49, 56-62 [126 S.Ct. 528, 163 L.Ed.2d 387].) The burden of proof requirement was reiterated to Student by the ALJ at the prehearing conference and in the prehearing conference order. The State Department of Mental Health, or a community mental health service, as described in Section 5602 of the Welfare and Institutions Code, designated by the State Department of Mental Health, is responsible for the provision of mental health services, as defined in regulations by the State Department of Mental Health, developed in consultation with the State Department of Education, if required in the individualized education program of a pupil. 9. Under AB 3632, a school district, an IEP team, or a parent may initiate a referral to a county mental health agency by requesting a mental health assessment. (Gov. Code, § 7576, subd. (b).) The county mental health agency then assesses the student, and if the student is eligible for its services, places a representative on the IEP team. (Gov. Code, § 7572.5, subd. (a).) If the student requires a residential placement, the county mental health agency becomes the lead case manager and is responsible for the non-educational costs of the placement, while the school district is responsible for the educational costs. (Gov. Code, §§ 7572.2, subd. (c)(1), 7581.) California Code of Regulations, title 2, section 60100, et seq., delineates the process of identifying an appropriate residential placement, and describes a step-by-step collaborative process whereby the designation of a specific residential placement and corresponding specific related mental health services is the final step in the process to place a student in an RTC. There is no timeline identified in either California statutes or regulations for a determination of an appropriate RTC once the department of mental health has recommended, and the student’s IEP team has concurred in an RTC placement. 11. The 60-day requirement was extended from 50 days pursuant to AB 1662, found in Chapter 653, Statutes of 2005, which took effect on October 7, 2005. The California Legislature amended the statutory timelines from 50 to 60 days in 2005 to conform to the timelines delineated in the federal IDEA. California Code of Regulations, title 2, section 60045, subdivision (e), was similarly amended to affect a 60-day timeline. Although the language of section 60045, subdivision (d) still retains a reference to a 50-day timeline, this appears to be an oversight. The Government Code requires that a regulation “shall be within the scope of authority conferred.” (Gov. Code, § 11342.1.) A regulation must also be “consistent and not in conflict with the statute and reasonably necessary to effectuate the purpose of the statute.” (Gov. Code, § 11342.2.) Therefore the conflict between section 60045, subdivision (d) of the California Code of Regulations and section 56344 of the Education Code must be resolved in favor of the statute. 12. AB 3632 incorporated the basic requirements for the assessment process as described in the Education Code. Government Code section 7572, subdivision (a), provides that a child shall be assessed by qualified personnel before any action is taken with respect to the provision of related services, including psychotherapy and other mental health assessments. The section states that all assessments required or conducted pursuant to the section shall be governed by the assessment procedures contained in the Education Code, commencing with section 56320. 15. Although Student’s primary issue is whether he was denied a FAPE when review of his AB 3632 mental health assessment was delayed by the initial failure of LACDMH to complete Student’s assessment and participate in his IEP, an underlying issue is whether CDMH or LACOE are proper parties to this action. CDMH and LACOE both contend that they were not responsible for assessing Student to determine whether and to what extent he was eligible for AB 3632 services, and were not responsible for determining an appropriate RTC placement. 16. CDMH asserts that it is not an appropriate party to this action because the responsibility for conducting any mental health assessment and provision of mental health services for Student under state law pursuant to Government Code section 7570, et seq., rests with LACDMH. CDMH presented testimony and documentary evidence demonstrating that historically its only responsibilities under AB 3632 have been for monitoring county mental health agencies and for serving as a conduit for delivering funds appropriated under the budget to the county agencies under a set formula. CDMH demonstrated at hearing that it has never been invited to IEP meetings, is never contacted to provide assessments or services, and was not contacted in this case by any party even after the Governor vetoed AB 3632 funding. 17. However, CDMH’s reliance on what it has historically interpreted its duties to be does not change what the statute requires it to do. The language of Government Code section 7576, subdivision (a) is clear: responsibility for the provision of mental health services to students if required by their IEP’s is given to the State Department of Mental Health or to a community mental health service (emphasis added). The statute does not differentiate between the two and CDMH has provided no legislative history to support its contention that the plain meaning of the statute does not prevail. 19. LACOE asserts that it was only responsible for referring Student for an assessment, convening an IEP meeting to discuss the assessment, transporting Student to an RTC if he required it, and paying for the educational portion of the placement. LACOE contends it met all those obligations. LACOE points to the statutory language in AB 3632 which makes the department of mental health (be it CDMH or the local community mental health agency) responsible for assessing a student’s mental health needs and providing him or her with required mental health services. 21. Student’s issue for hearing is that he was denied a free appropriate public education after October 8, 2010, when the Governor vetoed AB 3632 funding and purported to suspend that statute’s mandate. He argues that LACOE and/or CDMH should have stepped into the breach when LACDMH decided not to participate in his October 18, 2010 IEP meeting. It is his contention that had LACOE and CDMH met their statutory obligations, he would have been transferred to an RTC much sooner than January 4, 2011, when his transfer was finally effected. It is unclear whether Student contends that the parties substantively denied his rights to a FAPE or whether the denial of his rights was based on procedural irregularities. However, Student has failed to meet his burden of proof that he was denied a FAPE under either a substantive or procedural analysis. 22. To the extent Student claims that he did not substantively receive a FAPE while housed at juvenile hall, he has failed to provide any evidence that the education and services he received there did not meet his needs. Student presented no evidence to support a finding that the educational services and mental health services provided by LACOE at juvenile hall were legally insufficient. The IEP developed by LACOE provided Student with a full-time placement in a special day class taught by a special education teacher. It also provided him with an hour a week of individual counseling services and 20 minutes per week of assistance in class from a behavior management paraprofessional who would address his behavior needs through prompting and redirection if Student required that type of intervention. The evidence, through Ms. Gonzalez’s assessment, also demonstrates that LACOE provided mental health services in addition to those specified in Student’s IEP. Although the IEP provided for one 60-minute individual mental health counseling session per week, LACOE was actually providing Student with three to four counseling sessions per week with a mental health therapist which each lasted a minimum of 40 minutes. Student’s school counselor also provided him one 50-minute counseling session a week. LACOE further provided Student with separate group therapy sessions for substance abuse, anger management, and social skills, as well as provided him with monthly psychiatric evaluation and monitoring. Student presented no evidence that these extensive services did not meet his needs or that his lack of placement in an RTC during this time denied him a FAPE or in any way prevented him from benefiting from his education. 24. Student also alleges that he was procedurally denied a FAPE because he was not assessed in a timely manner and because the IEP to discuss the assessment was also untimely. He also contends that he was procedurally denied a FAPE by the four to six week delay in transferring him to the RTC at Cathedral Home. Student has failed to prove a procedural violation in all respects. 25. Student first states that his assessment was not completed in 50 days in violation of the parties’ statutory obligations. However, Student misreads the applicable state statutes. Under the Education Code and the Government Code, LACDMH was required to assess Student within 60 days after his Educational Rights Holder signed his assessment plan. LACDMH completed its assessment of him on October 27, 2010, which was 62 days after Student’s Educational Rights Holder consented to the assessment. It was therefore only untimely by two days rather than the 12 days asserted by Student. 25. LACOE had 60 days under state statutes to schedule an IEP meeting to discuss Student’s mental health assessment. It initially met its obligation when it convened an IEP meeting on October 18, 2010. However, since LACDMH did not attend the meeting, and had not provided its assessment to anyone prior to the meeting, LACOE did not have an assessment to discuss. As discussed above, at this point either LACOE or CDMH should have stepped in and begun the assessment process to determine if Student was eligible for AB 3632 services. They had no way of knowing at this meeting that LACDMH would return to the assessment and IEP process. Therefore, Dr. Levin’s belief that it would have caused more delay for LACOE to have arranged to assess Student at this time is a belief that could only be made in hindsight, with the present knowledge that LACDMH ultimately agreed to resume meeting its AB 3632 obligations. 26. However, in this case, the delay in proceeding with review of Student’s assessment and with starting the process to determine an appropriate RTC and then transfer him to it ultimately amounted to only four to six weeks. Based on the federal court stipulated TRO, LACDMH resumed its participation in Student’s IEP process. LACOE convened an IEP meeting to discuss LACDMH’s assessment as soon as it could arrange for participation by all 16 IEP participants. LACDMH immediately began searching for an appropriate RTC. Once it found one, and Student’s Educational Rights Holder agreed to it, Student’s transfer was dependent on agreement from the juvenile court. LACOE transferred Student to Cathedral Home within a day of receiving the paperwork from the court. The evidence therefore persuasively supports the conclusion that LACDMH and LACOE worked expeditiously to effectuate Student’s RTC placement once the November 19, 2010 IEP meeting convened and Student’s IEP team agreed he required one. 27. The issue therefore is whether any of these delays amounted to procedural denials of FAPE. To prove a procedural violation, Student’s burden was to show that his Educational Rights Holder’s participation in the IEP process was impeded or that Student suffered a deprivation of educational benefits or that his right to a FAPE was impeded. 28. Student’s Educational Rights Holder was present at every IEP, either in person or by phone, and was consulted with regard to each IEP developed for Student. She was provided copies of all documents, and was given an opportunity to voice her opinions about the mental health assessment process and about Student’s educational placement and services at the juvenile hall school as well as at Cathedral Home. There is no evidence that the right of Student’s Educational Rights Holder to participate in the decision-making process regarding Student’s IEP was impeded in any way by the delays. 1. LACOE was required under the IDEA to provide Student a FAPE, including any necessary mental health services, between October 8, 2010, and the time Student was transferred to Cathedral Hill. 2. CDMH was required to provide Student with AB 3632 services when LACDMH refused to do so. 3. However, Student has failed to meet his burden of proof that either LACOE or CDMH denied him a FAPE after October 8, 2010. 4. All of Student’s requests for relief are denied. Pursuant to California Education Code section 56507, subdivision (d), the hearing decision must indicate the extent to which each party has prevailed on each issue heard and decided. Here, LACOE and CDMH prevailed on the issue heard in this matter.